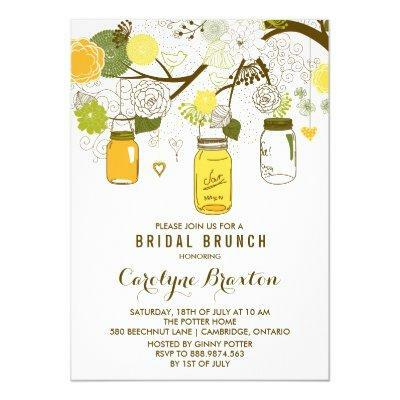 Whimsical bridal shower invitation featuring yellow and green mason jars, heart strings, lovebirds and flowers. This invitation will be perfect for summer parties. Other colors and similar items are available in my store.